This packet is the perfect addition to your Earth Day lesson plans! 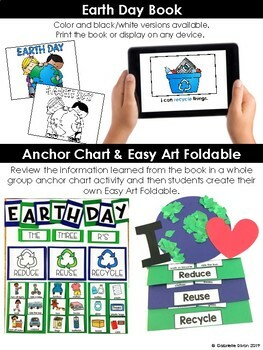 It includes a printable book that can also be displayed on any device for a no prep option, templates to make an interactive anchor chart to display in your classroom and complete with your students, and the templates and step-by-step picture directions for students to create a foldable to practice sorting the 3 R's: Reduce, Reuse, & Recycle. 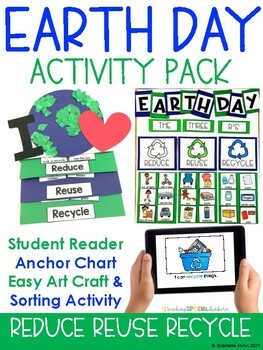 Read more about Earth Day Activities for your classroom here!